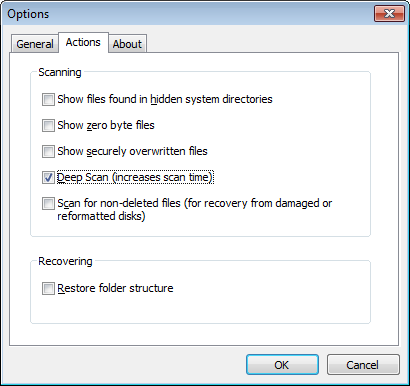 The normal Recuva scan will find most files, but for some stubborn files, Recuva will need to look through your drive bit by bit. This can take a long time but is often worth the wait. Note that this can take hours to run, so we recommend starting the deep scan and then finding yourself a comfy chair and a good book to pass the time. Do not be tempted to use your computer in the mean time, as every time you do, you reduce the chance of recovering your files.